The 3400 models are sub compact tractors with attachments that are built for commercial use, as they will allow operators to get ready to perform the next task more efficiently. This process does not require you to use any tools or have to do any heavy lifting. 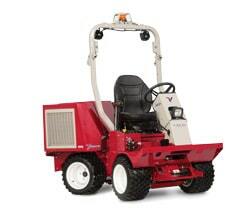 The 3400 models provide a great blend of the capabilitiesof a zeroturn tractor and a compact tractor. They have the visibility, manoeuvrability, and versatility that a zero turn will give, but also the versatility of a compact tractor. But it offers much more than that. The centre articulation frame ensures that your articulating mower will not turf that can happen with many zero turn mowers. The outfront of this compact tractor mowerallows users to get closer to objects to trim the grass on the lawn them more effectively than a zero turn mower would. 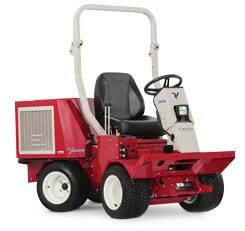 The 3000 series will remain stable while moving on slopes and a lighter footprint to get into wetter areas on your yard. With the correct attachment, 3400 models are also great for removing leaves during autumn with its leaf blower capabilities and for grinding stumps. They are also great during the wintertime in places where snow occurs. These sub compact tractorshave blades and a snow blower powerful enough to move large quantities of snow. Would you like more information on how you can benefit from using a compact tractor mower?Contact us on (02) 4625 2308 today!